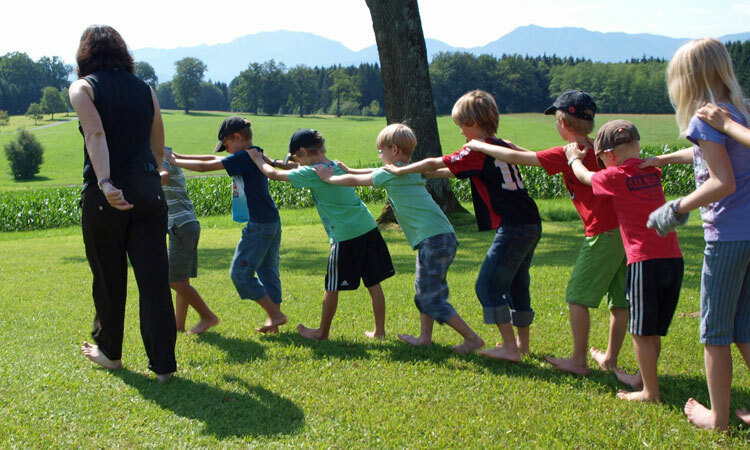 Just as it is easy to be barefoot at home, playing is also an easy and fun time for children to be barefoot. You would not dress a child in formal wear to go to the park, think of shoes as optional items that can be left in a closet. When walking, or biking, to a park shoes can easily be left at home. Your child can experience the outdoors further by feeling the ground beneath them. At playgrounds, be cautious with ground covering of bark or sharp rocks. When a child is accustomed to going barefoot, he or she will develop tough soles that can easily handle such material. 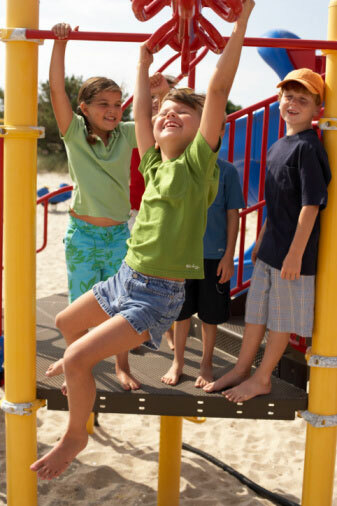 After a summer, or lifetime, of going with free feet kids develop tough feet that can clamor almost anything. As with most activities, going with a natural foot will add to the enjoyment and be more beneficial to your child’s health. If other parents ask about why your kids, or you, are barefoot, it gives a great opportunity to help educate and maybe let them try as well.